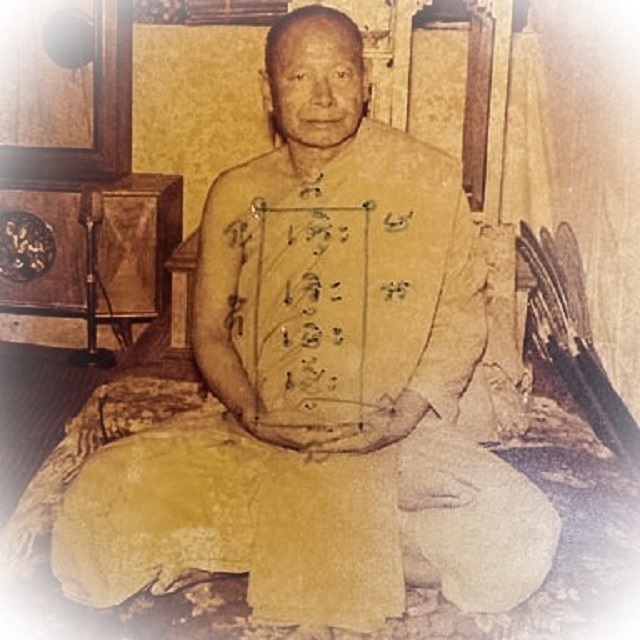 Luang Phu Nai (2446 – 2531 BE), was a Gaeji Ajarn Master Monk of Ayuttaya, who possessed the Lineage Wicha of Luang Phu Sukh (Wat Pak Klong Makham Tao). He was a previous generation olden days master of Sak Yant Thai Temple Tattoos, and a master amulet maker. He was especially renowned for his carved sacred gecko charms, as well as many other Amulets. His life as a Buddhist Monk is highly documented, with many different authorships of his Biography and life’s works. His amulets are equally documented and highly prized with collectors of this Genre of Masterpiece Amulet, and the Jing Jok Luang Phu Nai can be found in almost every high class Amulet Magazine, and Encyclopedic Work of importance ever published. The Jing Jok of Luang Phu Nai are considered by most people to be the number one Gecko Talisman of all time. The legends of Luang Phu Nai’s powers extended into the world of Sak Yant Thai Temple Tattoos, and Devotees of the Occult, and Buddhist Amulets, and the Faithful Followers of Luang Phu Nai’s Buddhist Practice and teachings Luang Phu Nai was born in the year 2446 BE, and Ordained early in his childhood as a Samanera novice Monk, at the age of 12 years old, and hence never lost his purity. 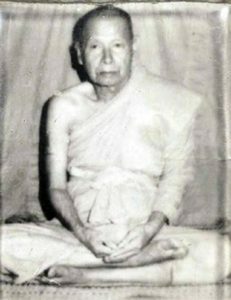 Then later, at the age of 22, he was ordained to the highest status of a fully ordained ‘Bhikkhu’ (that is to say, a fully fledged Buddhist monk). He remained Ordained and Pure from the age of 12 within the Buddhist Sangha, until the day he passed away in the year 2553 BE. 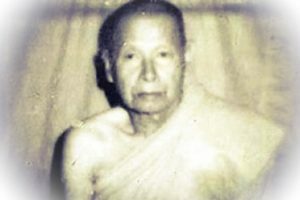 He was able to travel to Wat Pak Klong Makham Tao temple to study Sorcery and Buddha Magic with the great Luang Phu Sukh, and even met Grom Luang Chumporn the Royal Admiral Princely Lord, who taught him the missing parts of Wicha which had been left unstudied when Luang Phu Suk passed away.